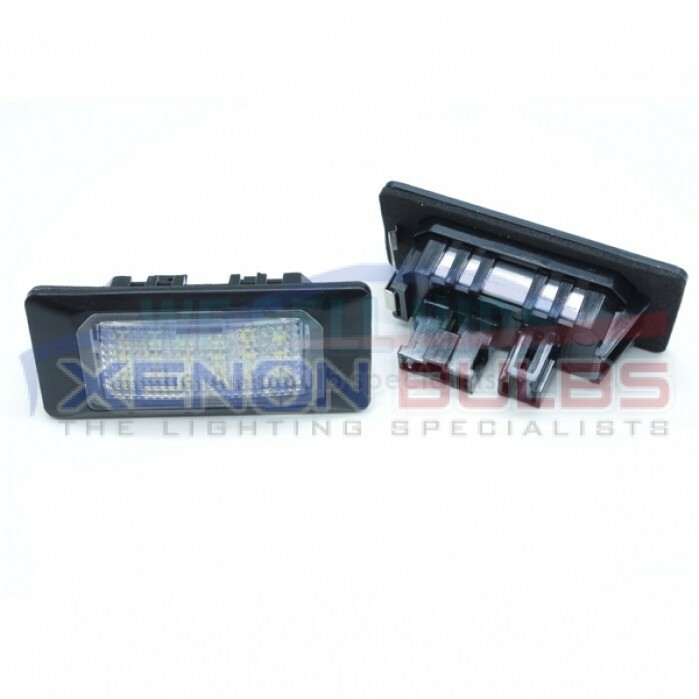 Our Latest LED Units to fit cars that have existing dull audi LED plate units or halogen yellow bulbs dut to the dual connections on the base. 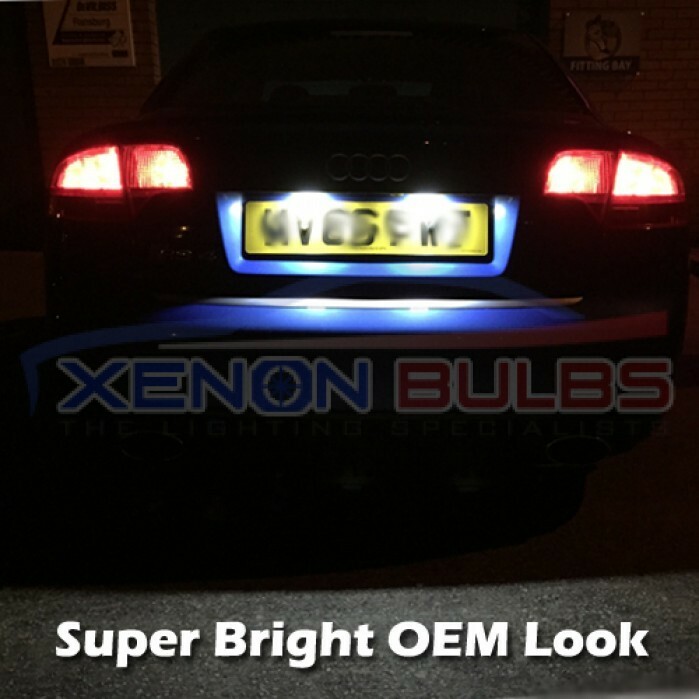 These new LED light units simply replace your standard dull yellow bulb type number plate light units, no drilling or holes required so warranty is intact. 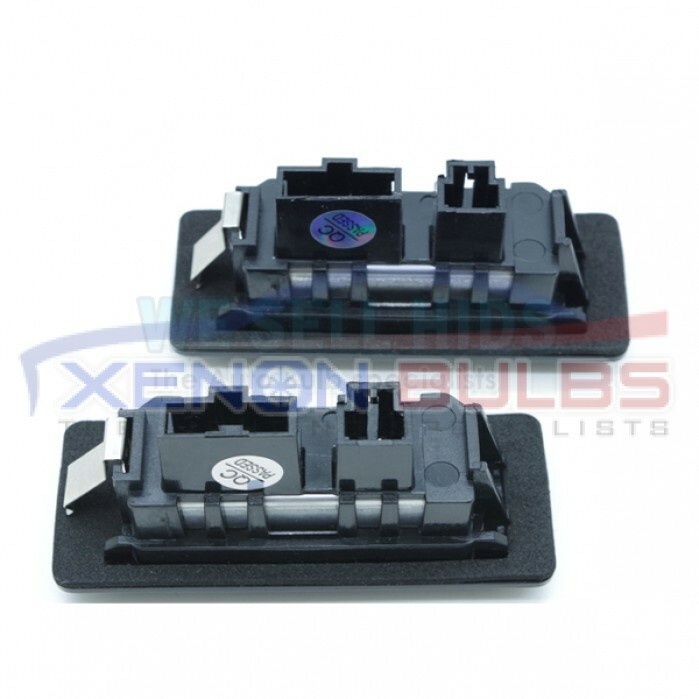 They are fully compatible with canbus systems so that you get no bulb out error warnings.